The ZTE Axon 9 Pro was announced just five months ago but, as revealed by a new benchmark listing (via MobielKopen), ZTE is already hard at work on a successor which will presumably be called the ZTE Axon 10 Pro. 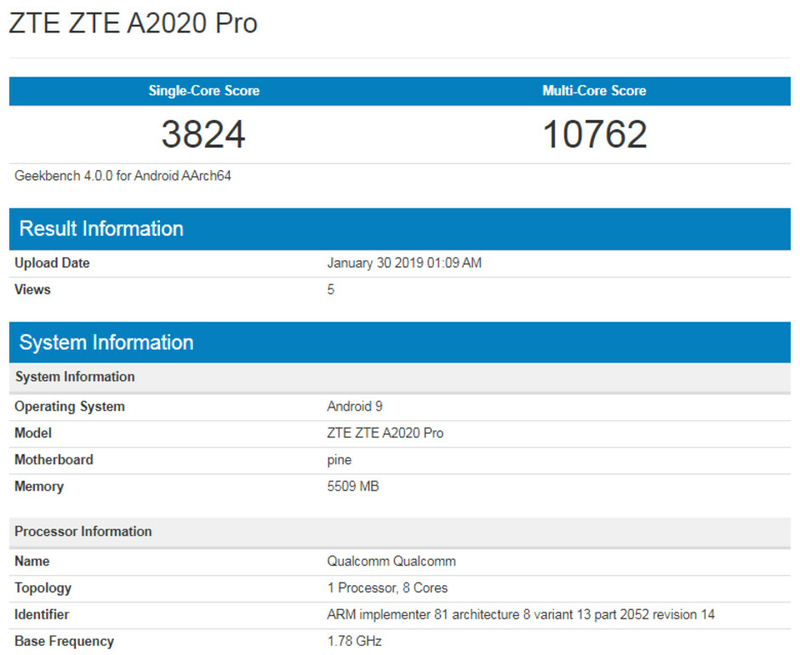 Listen under the model number ZTE A2020 Pro – the ZTE Axon 9 Pro is the ZTE A2019G Pro – the upcoming device set a very impressive 10762 points on the multi-core test and a respectable 3284 points on the single-core alternative. These results were achieved thanks to the included processor. On the listing itself, this chip is referred to as ‘Pine’ but it seems as though we are actually looking at the Snapdragon 855. In recent weeks Samsung’s US-bound Galaxy S10+, which is powered by the same chip, has made its own appearance on Geekbench. In terms of performance, it performed slightly better in the single-core department with 3413 points but didn’t fare quite as well when all cores were working together with 10256 points. In both cases, the high-end processor is paired with 6GB of RAM and Android 9 Pie. It’s worth noting, though, that both models are likely running pre-release software. Because of this, the final scores once released could be slightly higher. 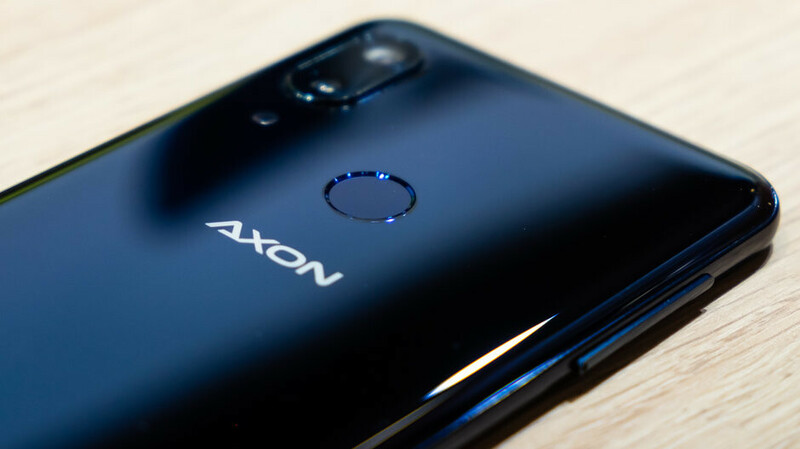 Nevertheless, the Axon 10 Pro looks set to be a worthy Galaxy S10 competitor. Considering ZTE’s current flagship is only a few months old, it’s unclear when the Chinese brand will choose to unveil its next-gen device. With MWC 2019 now less than a month away, though, perhaps the ZTE Axon 10 Pro will make an appearance at the event. Not with a rear fingerprint scanner. They need to at least put it on the side. I like it in the front like on my OP3. rear scanner seems uncomfortable and side perhaps not as accurate as your fingerprint is wide, not thin.